Outstanding four bedrooms home with a main floor bedroom & bath. Enter into living room with vaulted ceiling, formal dining room, separate family room with stone fireplace, upgraded kitchen with plenty of cabinets and a charming atrium. 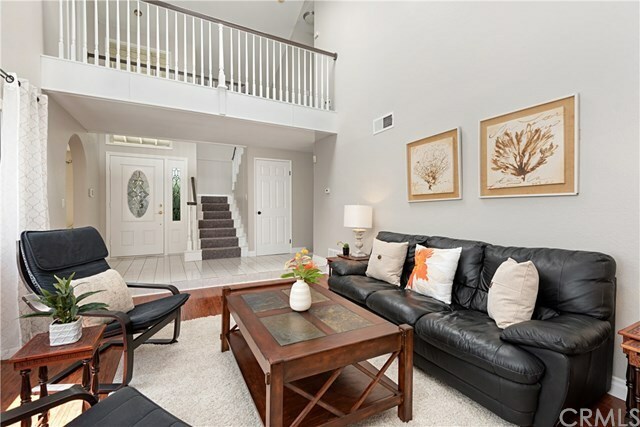 This lovely home offers, master suite with upgraded master bath and a large private balcony to enjoy 4th of July fireworks. Entertain guest in the manicured backyard with patio cover. Additional upgrades include; sky light, spa bath tub, newer flooring, fresh paint, newer doors and French door and so much more. This home is located on a single loaded street and steps away from Melinda park. You will also love the location being two blocks away from the beautiful Lake Mission Viejo and shopping.